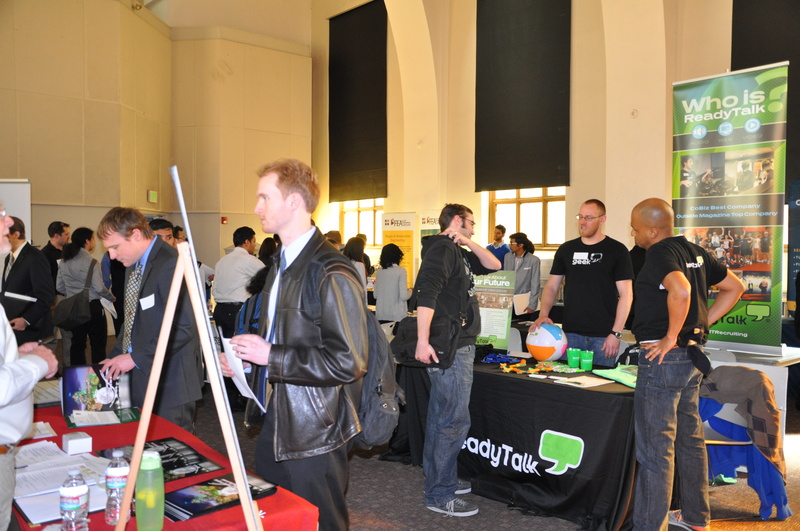 On Thursday, Feb. 20, the CU Denver chapters of Tau Beta Pi and the Society of Women Engineers (SWE), along with the Experiential Learning Center, the Career Center, and the Boots to Suits program, hosted the second annual Engineering Job & Internship Fair. 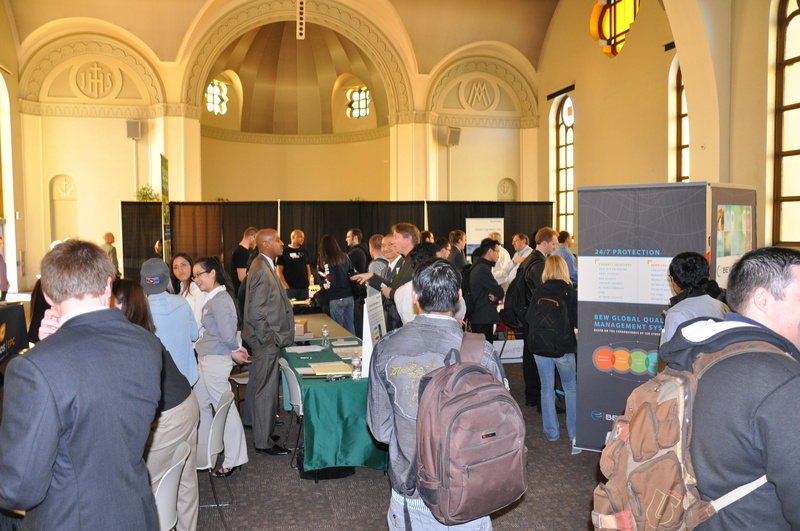 More than 160 engineering students attended the event, which was held in St. Catejan’s on the Auraria campus. Fourteen companies participated, including Saunders Construction, Inc., ReadyTalk, and Jeppesen. “The job fair was a huge success overall, and students were very appreciative of the event,” says Maryam Darbeheshti, engineering faculty advisor and faculty sponsor for SWE. Multiple representatives commented that the students were well prepared and focused, which is something they don’t always see. Having a fair focused on engineering careers was a bonus for some of the employers, too. “Participating in an engineering-specific job fair saved us a lot of time, since all the students who approached us were engineering students and we did not have to spend our time answering irrelevant questions,” said a representative from BAIR Analytics, Inc.
“We had a great experience hiring two of your engineering students, who turned out to be excellent employees,” said a representative from ReadyTalk. Earlier this month, ReadyTalk also participated in the ACM Tech Expo, an event organized by students in the Department of Computer Science and Engineering. David Brandt, a graduate student in mechanical engineering and one of the organizers of the event, was impressed at the number of attendees and appreciative of the companies that participated. Computer and Communication Technologies Inc.